Are you interested in learning more about the FAA Part 107 waiver? This article will talk about (1) why FAA Part 107 waivers were created, (2) what regulations can be waived, and (3) what to do when you can’t obtain a waiver regulation. There are multiple ways that regulatory flexibility can happen in the regulations: FAA Part 107 waivers, authorizations, deviations, and exemptions. If the particular regulation you are interested in cannot be resolved by an FAA Part 107 waiver, authorization, or deviation, then the exemption process is all that is left. The FAA has wisely built into Part 107 a specific section that lists out what regulations can be waived under an FAA Part 107 waiver. An individual applies to the FAA for a certificate of waiver (COW) asking for certain regulations to be waived during the proposed operations. If the FAA believes the applicant has shown the operations are safe enough, the applicant will be given an FAA Part 107 waiver from a particular regulation and the applicant now operates under the certificate of waiver’s restrictions in addition to the regulation waived. One thing that confuses people is the whole authorization and FAA Part 107 waiver situation. Some regulations are authorizable, such as 107.41, while others are waivable. Keep in mind that a regulation might be both authorizable and waivable just like with 107.41. You might have heard of airspace COAs or airspace COWs which functionally do the same thing and allow you to fly in a place you could not fly before. The only regulation authorizable in Part 107 is 107.41. Section 107.205 lists out specifically what regulations are waivable. Below are the waivable regulations and examples of operations that would need this type of FAA Part 107 waiver. If you are interested in any type of operation in either list below, please contact me to help you obtain an FAA Part 107 waiver. Operating a drone from a moving aircraft. Powerline inspection in populated areas. Pipeline inspection in populated areas. Cinematography or car commercials for TV in populated areas. Inspecting roofs using a FLIR camera to spot water damage. Firefighting or law enforcement at night. FPV racing commercially WITHOUT a visual observer. The pilot in command wants to fly two or more drones at the same time. Swarming drones for entertainment like Intel and Disney are interested in. Law enforcement monitoring large crowds. Flying in Class B, C, D, or E airspace which is almost always near an airport. Yes, you have to have a COW to operate in these airspaces. I explain this in my FAA Part 107 FAQ page. Flying within 500 ft. below or 2,000 ft. horizontally of clouds. Not All Of The Part 107 Regulations Can Be Waived by an FAA Part 107 Waiver. Operations from a moving aircraft, vehicle, or boat while carrying property of another on the drone for compensation or hire. Beyond visual line of sight aircraft operations carrying property of another on the drone for compensation or hire. Closed-set cinematography using large cameras or dual cameras for stereo filming. Carrying spare LIPO batteries to other operators. LIPOs NOT in the drone are considered hazardous material. 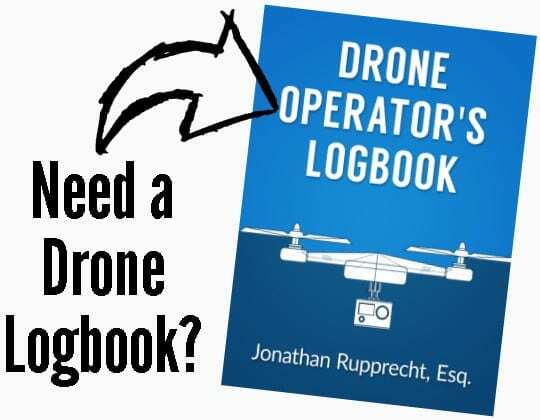 Autonomous Operations– No Part 107 remote pilot in the loop. There are other ways of getting operations in the second list legal. Just because you are in this list doesn’t mean that it is “game over.” Time until approval and associated costs with obtaining the approval are the big two concerns with obtaining approvals in the 2nd list. Some of the operations will be eligible and others not for approval under the Section 333 exemption. The FAA wants you to apply for an FAA Part 107 waiver at least 90 days before you need one. Don’t count on 90 days for complex operations. Apply well in advance of when you think you will need the FAA Part 107 waiver. 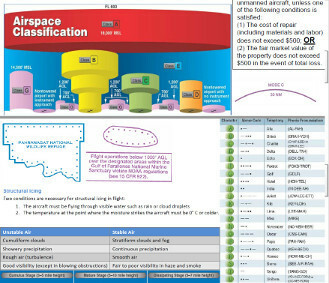 I hope these two lists help you differentiate between when you can operate purely under Part 107 and when you’ll need to seek a FAA Part 107 waiver. This post is part of an overall Part 107 blog series and you may enjoy a few of these other Part 107 blog posts.